Above is a link to the National History Day Rulebook. 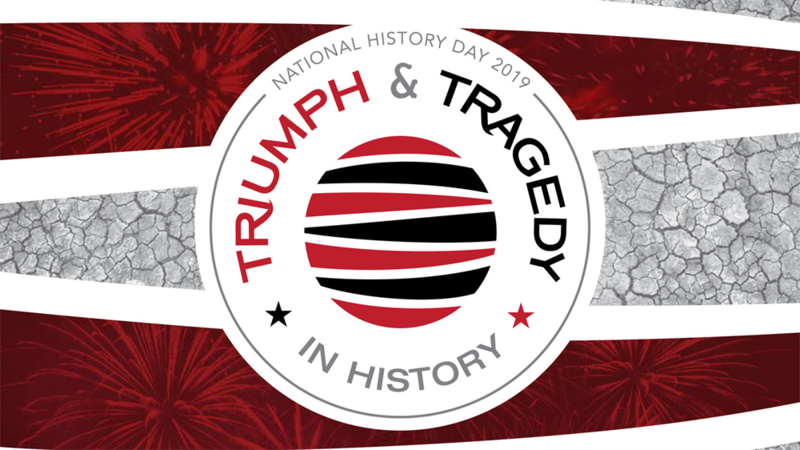 The Oklahoma National History Day contest is a recognized state affiliate of the National History Day contest and upholds the rules of the National History Day rulebook. What is Oklahoma National History Day? Each year thousands of Oklahoma students, encouraged by teachers statewide, participate in the Oklahoma National History Day (OkNHD) program. OkNHD is a part of National History Day and is a highly regarded academic program for 6–12 grade students. More than 750,000 students across the country participate every year! Students choose historical topics related to a theme and conduct extensive primary and secondary research through libraries, archives, museums, and historic sites. After analyzing and interpreting their sources students draw conclusions about their topics' significance in history before presenting their work in original papers, exhibits, performances, websites, and documentaries. The student projects are entered into competitions in the spring at regional, state, and national contests where they are evaluated by professional historians and educators. Each May students from across Oklahoma compete in the state finals. The program culminates in the Kenneth E. Behring National Contest each June held at the University of Maryland at College Park. The contest will take place in Murray Hall on the OSU campus. Judging will begin at 9:00 a.m. sharp and the awards ceremony is expected to take place at 12:00 p.m. If you have any questions, contact Bill Bryans, 405-744-8179 or bill.bryans@okstate.edu.